We at Galactic Performance Solutions understand the hardships and assist in alleviating them. Below you can read about some of the proven ways a team of Certified Meeting Professionals can be well worth your return on investment with a higher standard in mind and years of proven results. Tap into exclusive deals and relationships from a professional. The saying "It's not what you know, but who you know" truly shines in the category of venue sourcing. The value of a long-term business relationship cannot be understated. The fine-tuned details are some of the most important assets to raising the standard for a great meeting or event. It's no small task to put on a great meeting or event, especially for a small team of people who have many more responsibilities in their normal job duties. By splitting the time of in-house employees, the final product may not be what you hoped for when they aren't investing all of their effort towards the event. Understanding what works best for successfully achieving your meeting goals comes with expert experience. With years of experience working with clients who seek unique, specific goals, Galactic can help you drive success with our deep knowledge of best practices tailored to maximize your ROI. 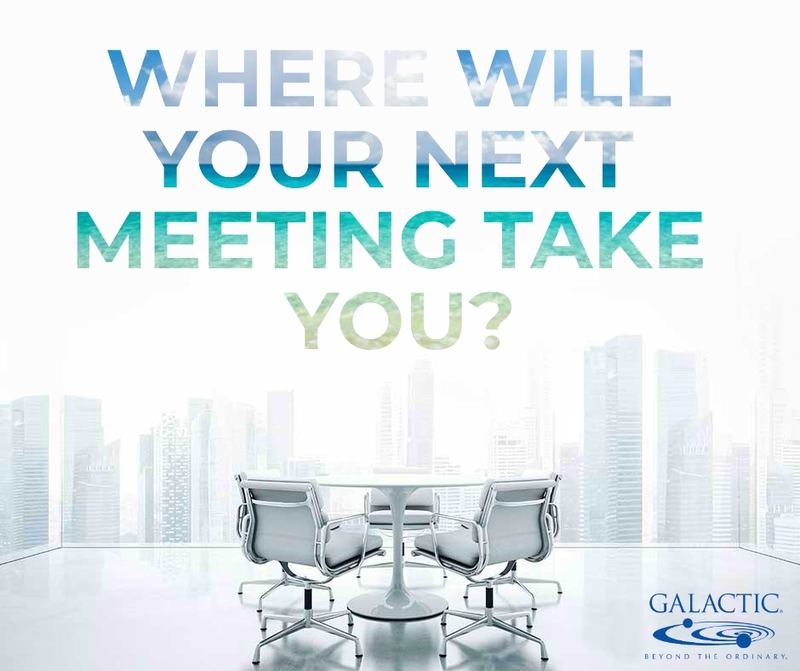 Click here to see how Galactic can increase your ROI with meetings and events. Learning a new skill or process can be difficult and will require a timely learning curve. The advantages of tasking professional meeting planners will save you countless hours to allow you to continue the operations of your regularly scheduled duties. Rather than hiring a single individual, or even offering the project to a current employee, you're potentially losing thousands of dollars and degrading the quality of work by not investing in an entire team who will have the knowledge, resources and time to make your meeting a top priority while leveraging your total spending. 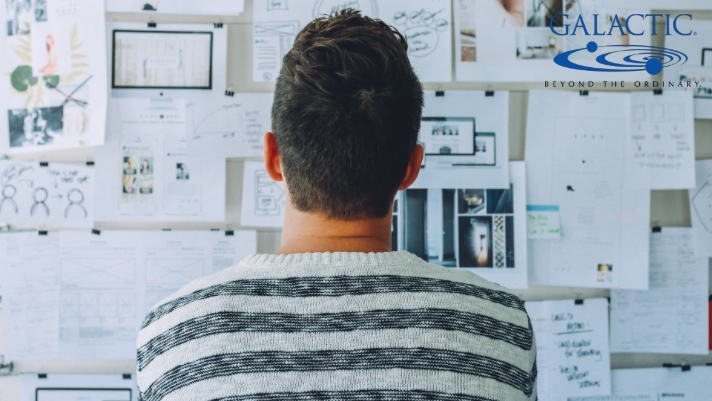 Your meeting is important, but you might be overwhelmed with how many moving parts are involved with the execution of it. Professional meeting planners have years of experience working with companies who are just as dedicated to providing an excellent experience to your audience as we are. If you're looking for your next incentive program destination but aren't quite sure where to go yet, consider a trip to Africa. 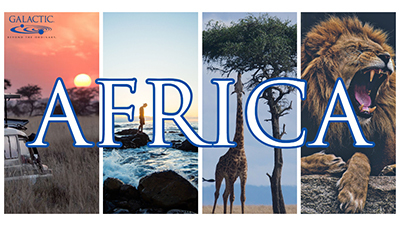 A vast and highly diverse continent full of fascinating cultures, dramatic scenery and extraordinary animals, Africa offers some of the most amazing travel experiences in the world. Once you take a closer look you’ll begin to realize why we have it on our top incentive destinations of 2019. While an African Safari is one of the most iconic and first things you’ll think about when considering a trip to the second largest continent on Earth, Africa boasts some of the most breathtaking beach paradises you’ll ever find. Traveling to Africa is scarce, but can be efficient with proper planning (call us!) According to Nomadic Matt, there are numerous transportation companies dedicated to helping tourist see as much of Africa as possible. Whether you want to travel by bus for general travel or experience a slower-paced journey by safari, there is a way to get around. 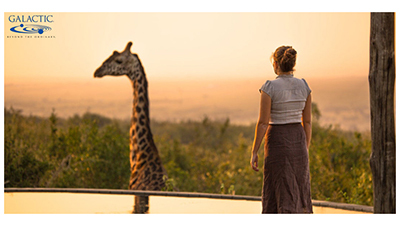 Why Choose Africa as an Incentive Program Destination? There are few places on Earth that carry the motivational power to reward people better than Africa. Being transported to a place unlike anywhere else can instill a sense of escape and relaxation for those who seek it. Taking in the wild can boost morale for all in and out of the office. A trip to Africa will not only be fun, but it’ll be one of the best trips in a person’s lifetime instilling happiness for years and years. We hope you are able to explore this amazing island with us and have it play a vital part in your business’ performance solutions! Heading into the New Year, Galactic is highlighting some of our top picks for 2019 incentive program destinations! Over the course of December, every Monday we are highlighting a new and unique journey. Be sure to check back right here every Monday this month! 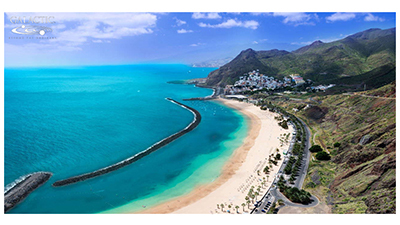 If you have never been to the Canary Islands, particularly Tenerife, we truly recommend it as a top-tier incentive program destination for 2019! Standing atop Mt. Teide at 12,000 feet and watching the sun set is one of the most amazing views one can ever witness. The way the sun reflects off the water made the ocean look like clouds in the sky, not knowing where the water ends and the sky begins. The views are majestic and will leave guests speechless and surrounded by oceans and clouds. 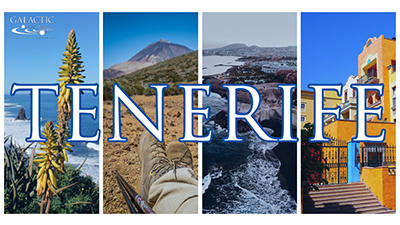 To experience the raw beauty of Tenerife is to view it from as many different places as possible. Encountering the sheer allure of the island from the top of the mountain then descending to the ocean below, the change in perspectives is quite the experience. From the island, there is a tan haze right about the ocean line; a sandstorm from the Sahara Desert. The storm won’t reach land, but it does show how close Tenerife is to the Sahara Desert, and the power of the storm’s gusts. The island has superb connections, with two modern international airports (Tenerife South and North). These serve a variety of different airlines with direct flights to most major airports across Europe at very affordable prices (especially out of peak holiday travel periods). There is also a well-maintained, modern road system including a highway between the North and South, making travel within the island fast, safe and convenient. Why Choose Tenerife for an Incentive Program Destination? According to TenerifeMagazine.com, Tenerife boasts a huge range of top-class accommodation across the island, with excellent facilities. There’s no shortage of superb venues to reward your top performers. The island’s activities go beyond just a week on the beach; exploring all that Tenerife has to offer would take months! There is a huge number of brilliant activities and excursions to be tried out such as sea-kayaking, whale and dolphin watching, paragliding, tree top walks and zip-lining, water parks, helicopter flights and much more! We hope you are able to explore this amazing island with us and have it play a vital part in your business’ performance solutions. In Bangkok, Thailand, a city of more than 6 million people, it is surprisingly calm and peaceful. The majority of citizens in Thailand are Buddhist, and have a morning ritual that promotes giving and peace, and it’s one of the most enlightening experiences to witness. There is a neighborhood where the monks walk around barefoot while the local people make merit by offering them food. Around 8am the Monks return to the temple to make a blessing for world peace. The act of giving first thing in the morning is truly something to admire. Once you take a closer look you’ll begin to realize why we think Bangkok is a top incentive destinations of 2019. This kindness isn’t just something you see from an average citizen, it is the way that His Majesty, King Bhumibol Adulyadej lived and encouraged. He created what’s known as The Royal Project, a non-profit organization meant to solve deforestation, poverty and opium production. He found ways to make his land better, and instead of profiting off of it, he shared that knowledge to the people of Thailand. Aside from the graciousness of the people, the beauty and ambience of Thailand is an experience all on its own. From the architecture of the buildings and temples to the beautiful beaches, it’s something to be in awe over. If you have ever wanted to explore an Asian country, this is the one to visit, as it is truly the destination that has something for everyone. Bangkok offers transportation methods unique and necessary for the environment such as a Tuk Tuk, which is a motorized three wheeled taxi service that Trip Advisor says your trip to Bangkok would be incomplete if you didn’t ride, just once. The Sky Train is also a relaxing way to navigate the dense inner-city. While there are no direct flights to Bangkok from the US since it is quite a distance from America, flights go to and come from Bangkok out of DFW, Los Angeles, JFK, Seattle and many more. 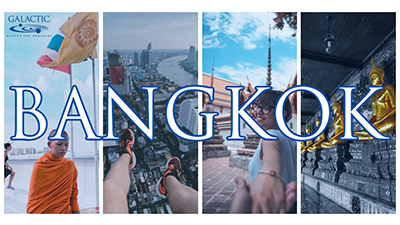 Why Choose Bangkok as an Incentive Program Destination? Experiencing a new culture can expand creativity and increase globalization allowing for a new perspective on the world we live on. Broadening world knowledge in a place like Bangkok can motivate individuals upon return from halfway across the globe. 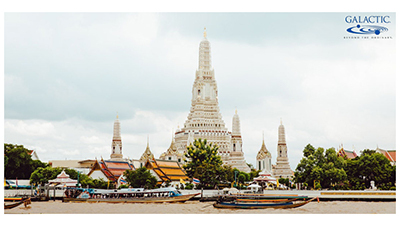 Rewarding someone with a trip to Bangkok will be leaps and bounds more effective on increasing productivity and boosting moral than monetary compensation ever could. The memories and impression Bangkok makes on your traveler will be with them for a lifetime.